RubberRoll™ is a prefabricated 4’ wide roll contructed of recycled rubber with EPDM color flecks. 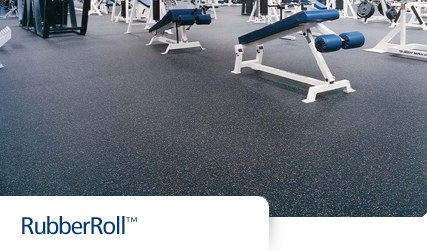 Regularly used in weight rooms, RubberRoll™ is also well suited for fitness areas, cardio rooms, spinning rooms and athletic performance training centers. 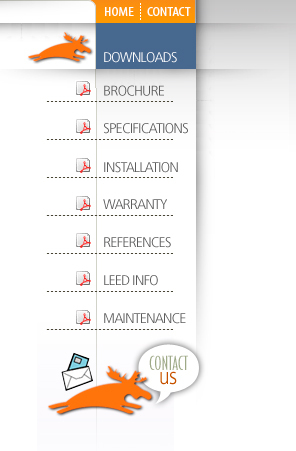 The many color options available will readily coordinate with color schemes and equipment. Moose RubberRoll™ is an economical way to enhance fitness rooms and is durable enough to hold up to high use and heavy weights. RubberRoll™ standard thickness is 8mm in all colors. 6mm thickness is also available in black, 10% blue fleck, 10% grey fleck 20% blue fleck and 20% grey fleck.